In recent years the real estate market has developed substantially as many Americans and other world travelers have discovered this idyllic getaway. 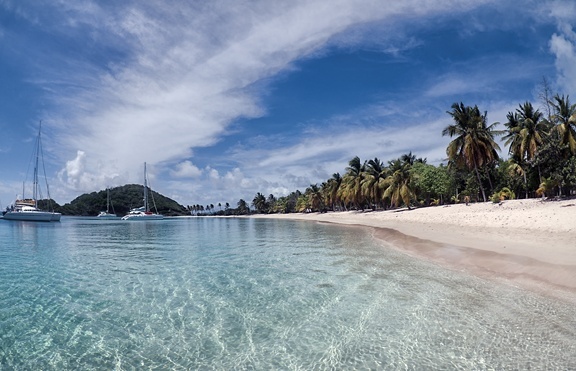 Bequia (pronounced Bek-way) is my favorite destination in The Grenadines and a great location for sailing to the other islands. Unlike the more prominent, busier island destinations, this tiny island jewel offers travelers seclusion, excellent pristine water, and uncrowded beaches. There are no high rise hotels on the island to spoil the awesome 360-degree views. Much of the islands lush landscape is undeveloped and gives visitors a real glimpse into what a true island looks like without the usual tourist development. 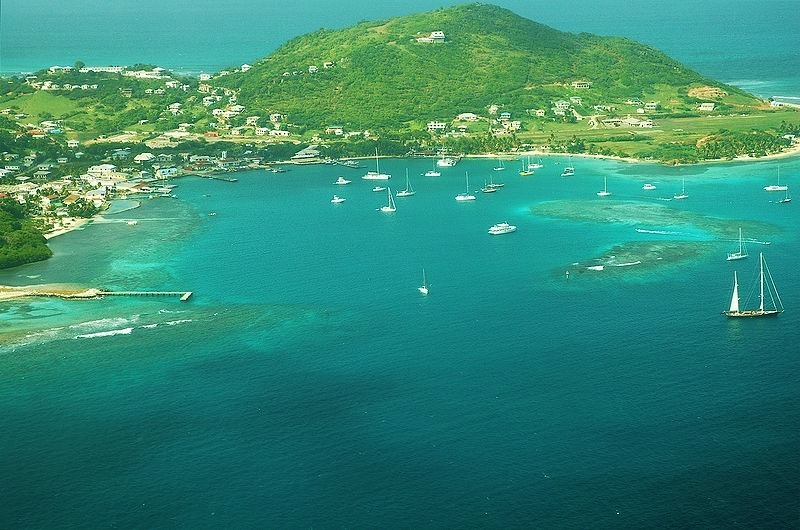 In essence, Bequia reminds one of the traditions and culture of the old world Caribbean. 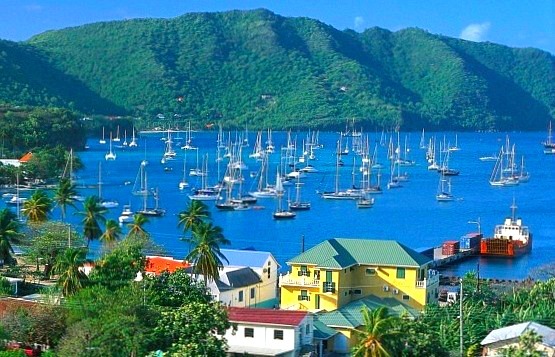 Only 6,000 locals reside on Bequia, and the majority live in modest yet colorful cottages. 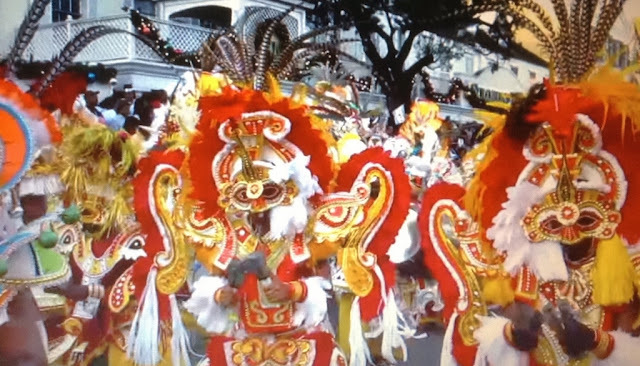 You will discover an interesting ethnic mix of African, Portuguese, Scottish and Carib Indian ancestry. Bequia personifies a true seafaring island economy where residents earn their income from the sea and through world-class boat building. One of the most popular souvenirs are the expertly handcrafted model boats and ships. 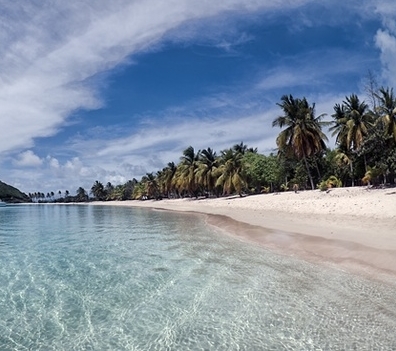 finest beaches in all the Caribbean. The island's owner is Janti Ramaj. 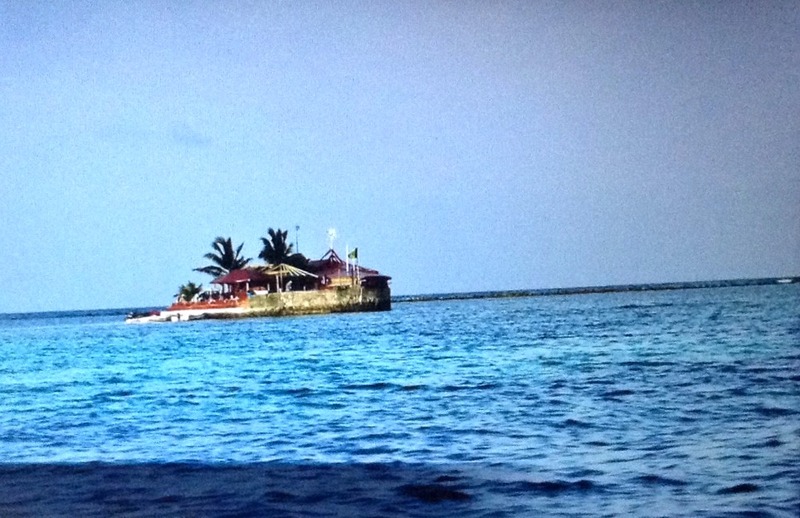 He came up with the brilliant idea for his own island when helping remove conch shells from Union Island's beach. 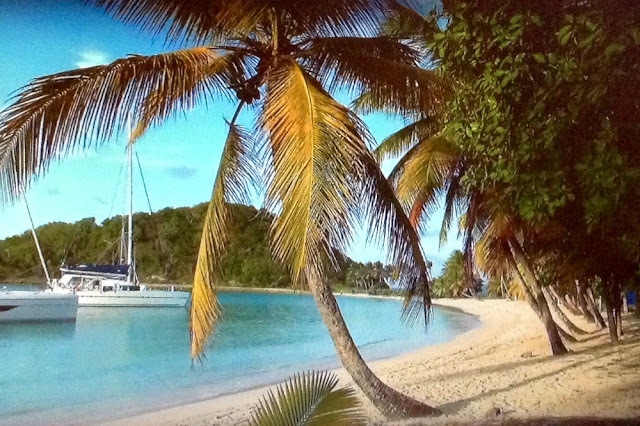 It took a great effort and tons of cement and shells went into making this happy place where the rum punch flows. A must do when visiting The Grenadines!